Our Grout Staining Process is the premium solution for transforming the look of old and dirty grout back to new again. Grout stain sealant is an advanced water based formula that quickly bonds to grout lines to create an even and uniform color and appearance while locking out future stains. 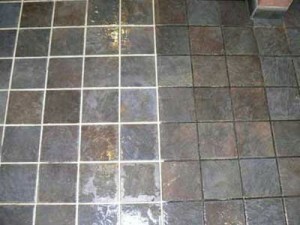 It can be used to rejuvenate or change grout colors. It can be used to rejuvenate or change grout colors and to protect new grout from discoloration and reduce maintenance.